The military elements of Sudan has finally moved in to protect the demonstrators and safeguarding the law and order following deadly clashes in Khartoum over the week between Omar al-Bashir's loyalists in security forces and protesters. Protesters sought shelter in a navy facility, a witness said, as tension among the armed forces was laid bare. Seven protesters have been killed since Saturday, officials say. Bashir, who has been in power for 30 years, has so far rejected demands to make way for a transitional government. One protester told the media that a number of pick-up trucks arrived and began firing tear gas and later live ammunition at the thousands of sit-in protesters in the Sudanese capital. Firstly, the military was neutral but then tried to disperse other security forces away, the agents from the most powerful Sudanese National Intelligence and Security Service (NISS). The eyewitness said the NISS agents returned for a second time attacking, prompted people to ran away towards a navy facility to seek shelter from the prolonged firing. Ali Ibrahim, of the Sudanese Professionals Association (SPA), which has organised the protest, told EFE news agency that military units had fired into the air to prevent NISS' security forces from dispersing the sit-in, that was taking place outside the army HQ. According to AFP news agency has quoted witnesses as saying the army has now fully deployed troops around the building and is setting up barricades in nearby streets. The army’s intentions surrounding the protest remain unclear. Information minister Hassan Ismail said the protesters in front of the HQ had been “cleared completely”. The Sudanese state has numerous armed groups and there are signs of tensions between them. The demonstrators accuse the NISS and a militia supporting President Bashir of trying to drive them away. The militia is made up of former members of the Janjaweed, the fighters accused of carrying out many atrocities in Darfur region. Over the past 48 hours, several protesters have said members of the Sudanese Armed Forces have protected them. 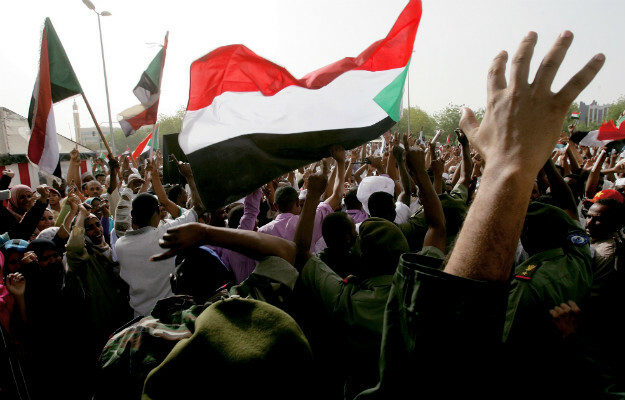 However, many Sudanese still distrust the armed forces, because of their role in keeping President Bashir in power and their conduct in the country’s succession of civil wars. Some analysts believe that the ordinary military officers are sympathetic to the protesters, with the top brass more likely to be loyal to the president. But the position of all the armed groups is now one of the key questions in Sudan. It started on Friday last week when protesters descended on the restricted zone, outside the government's HQ to call for the removal of Bashir and his government. It was the biggest protest against the president since unrest began in December while marking the 34th anniversary of the coup that overthrew the regime of former President Jaafar Nimeiri. The demonstrators appeared to be hoping for an internal coup, pleading with the army command to remove Bashir and open the way for a transitional government. Since the unrest began, Human Rights Watch says protest-related violence has killed 51 people, although officials put the figure at 32, AFP reports. Sudanese human right activists,workers and students set on protesting sit-in in Khartoum, Sudan. The protests were originally sparked by a hike in the cost of living but demonstrators are now calling for the president to go. 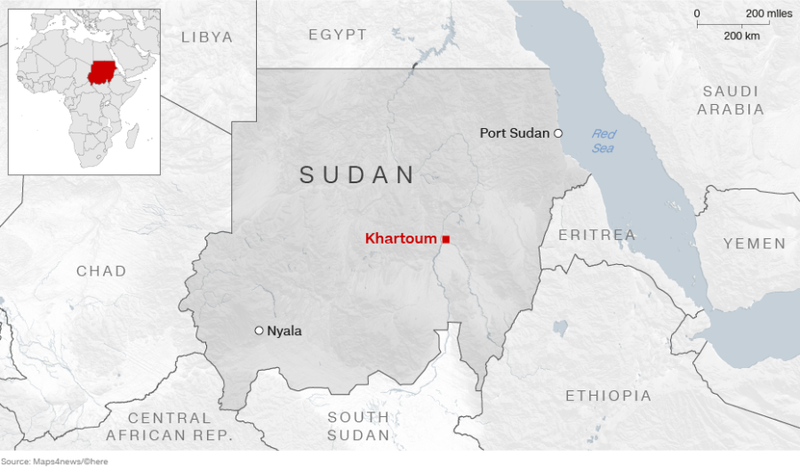 Sudan’s economy has long been strained since the US-imposed sanctions more than 20 years ago, accusing Khartoum of sponsoring terror groups. In December, the government announced the price of fuel and bread would rise. In the year leading up to this, inflation had risen while the Sudanese pound fell rapidly in value. Bashir’s rule has been blighted by accusations of human rights abuses. In 2009 and 2010, the International Criminal Court (ICC) charged him with counts of genocide, war crimes and crimes against humanity. A warrant for his arrest was later issued. In February, it looked as though he might give in to protests and step down, but instead Bashir declared a state of national emergency. He says the protesters have legitimate grievances but should only replace him through elections. The Sudanese Professional Association - a collaboration of health workers, lawyers and students- has been organizing the protests. Doctors have emerged as a leading force and as a result are being targeted by the authorities. It is estimated that up to two thirds of the protesters are women, who say they are demonstrating against Sudan’s sexist and patriarchal society. Previous attempts to break up the crowds have also led to reports of soldiers intervening to protect protesters from NISS agents. There have been international calls urging the government to refrain from using force against civilians. President Bashir has called for talks to end the crisis. The country’s interior minister said on Monday that seven protesters had been killed and 15 injured, while 42 members of the security forces had been injured. He added that almost 2,500 people had been arrested. The representatives of the protesters said they are seeking talks with the army regarding the formation of a transitional government. Omar el-Digeir, a senior protest member, told AFP news agency the group was seeking a path “that represents the wish of the revolution”. Monday marked the third night of the sit-in, despite security force efforts to disperse the group. United Nations Secretary-General António Guterres has urged all parties to “exercise utmost restraint and avoid violence”. Government officials now admit 38 people have died since the unrest began in December, but the pressure group Human Rights Watch says the number is higher. 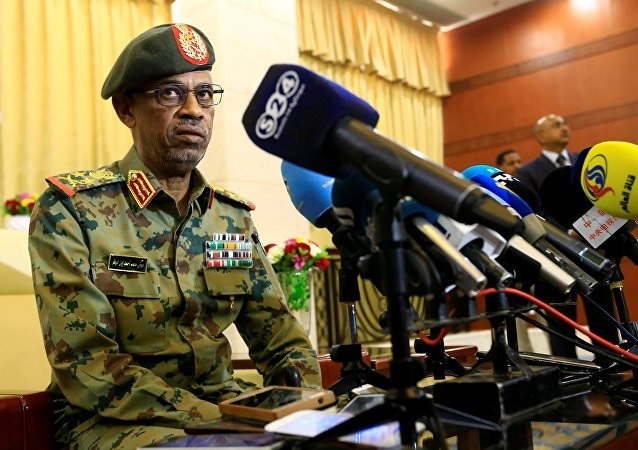 Sudan military declared a State of Emergency: The statement issued by Sudan's Minister of Defense, Awad Mohamed Ahmed Ibn Auf. He confirmed that President Omar al-Bashir had been forced from power and his government dissolved after months of demonstrations calling for his ouster. A two-year military council has been established to oversee a transition of power, ending Bashir's three decades of rule. 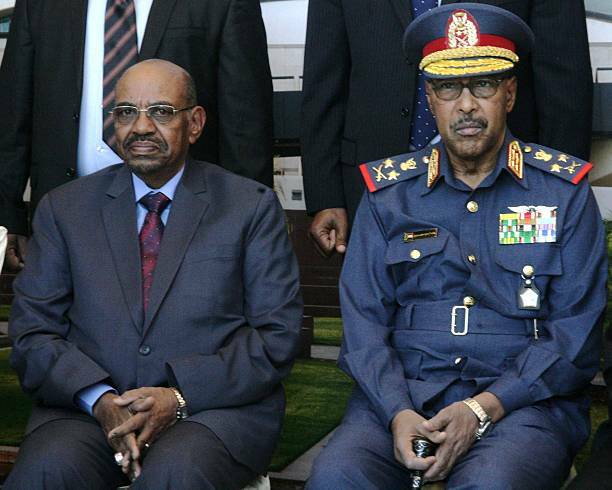 The defense minister said that Bashir had been forcibly removed and was now being "kept at a safe place." A three-month state of emergency has been declared, and a curfew from 10 p.m. to 4 a.m. imposed. 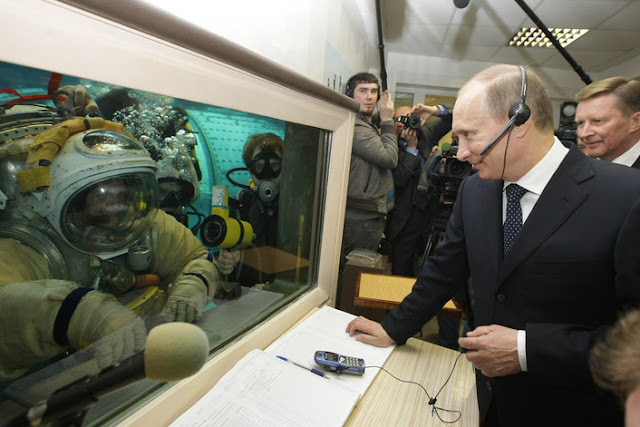 Ports and medical facilities will be secured. Sudan's cabinet,National Assembly and its municipal bodies have been dissolved, and the country's constitution is suspended as well. But, the judiciary, public prosecution, embassies and diplomatic entities will continue to function as normal under the supervision of the Military Council setup. All political prisoners, detained by the country's security services since a wave of anti-government demonstrations first gripped the nation in December last year will be released, the defense minister added. Currently the status and exactly whereabouts of Omar al-Bashir is not confirmed.